Wayne’s Books . . . Now in Korean! 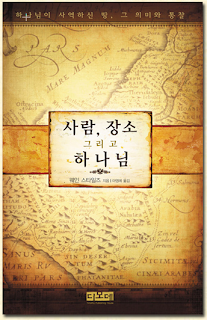 The Korean translation of my book, Walking in the Footsteps of Jesus, just released this month. I’m thrilled that the publisher had the vision to translate the book, as well as my previous book, Going Places with God. I’ve already received emails from Koreans who have enjoyed the first volume. Please join me in praying that God will place these books into as many Korean hands as possible—and that He will bless their hearts and minds as they read. Know someone who would enjoy these books in Korean?